Much of the manual labor across the nation is performed by temporary workers because it allows companies to hire employees for specific projects and to avoid needing to provide benefits to workers who are there in the interim. It is generally assumed that temp agencies are responsible for providing worker’s compensation coverage and assume the liability for injured workers, but they will often attempt to shift the liability onto the shoulders of their client. When this occurs, the injured worker is often required to wait for the two companies to resolve their dispute before receiving the care he or she needs. Temporary workers are severely disadvantaged due to the fact that they are not considered employees of the companies or clients they work for. This places them into a grey area because many of the rights and protections afforded employees are not guaranteed. To make matters worse, they are far more likely to be injured on the job than their employed counterparts due to the widespread use of temporary labor for dangerous projects. 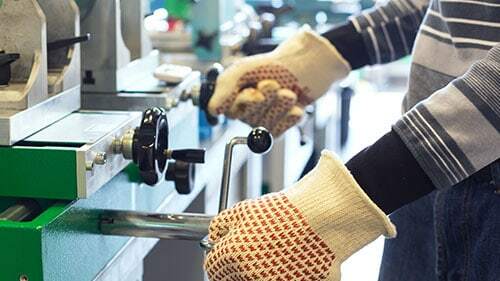 OSHA states that it is the duty of employers to provide workers with a safe work environment by providing the training and equipment required to reduce the risk of injury. Temporary workers are not as proficient as full time employees who have years of experience performing their duties. They often have a short period of time to learn their functions and are only required for special projects or seasonal work. Studies have shown that this makes temp workers 50% more likely to be injured and their status also makes them less likely to report the injury or incident out of fear that the temp agency they work for will refuse to get them work in the future. This is perpetuated by the fact that the clients these workers work for may mark them not to return due to an injury and the mark reduces their chances of being selected for jobs elsewhere. If you or a family member was injured while working as a temp, you are likely entitled to workers compensation benefits. Contact the workers compensation attorneys at Rosenfeld Injury Lawyers LLC for more information and a free review of your legal rights and options. While temporary workers are indeed not employees, OSHA has stated that temp agencies have the obligation to make sure that their workers are safe. They need to be aware of the requirements to perform each job, the risks involved and what equipment their workers need to be provided to ensure their safety. If they are aware of a client’s unsafe practices, they need to stop sending workers until the problems are resolved. The responsibilities of a temp agency’s client are to provide the workers with the same training and personal protection equipment they would provide any of their full time employees and to ensure that temp workers are not exposed to a hazardous work environment. One of the reasons many temp workers never receive the compensation they are entitled to following an injury is they are unclear about what their rights are in the matter. As workers who are not employees, they may not be guaranteed worker’s compensation, but there are legal avenues which can be taken to ensure they recover fair compensation for the treatment of their injuries and for any permanent disability they may suffer. Rosenfeld Injury Lawyers LLC is a strong advocate for those who have been injured and treated unjustly. While temp agencies and their clients squabble over who should be responsible for making an injured worker whole, that worker is not receiving the specialized care needed to be made whole again. We can fight on your behalf to make sure that you have a voice and your rights are taken seriously. Contact us today to arrange a free consultation with one of our award winning Chicago work injury attorneys so that you can learn what resources and legal options are available to ensure you receive every bit of compensation you deserve for your injuries. We guarantee that we will deliver results on your behalf or our services will be free of charge.